For sure most of us have experienced this irritating “disease” – itchy scalp. You cannot stop scratching your head and you cannot wait for the moment when you come home and get into the shower and wash whatever is causing this unpleasant feeling. There are quite a lot of reasons why your scalp is itchy. Sometimes it is just because you have not washed your hair for some time (do not get me wrong, you should not wash your hair every day), and I mean several days. Other times your shampoo is the reason. Not every shampoo works for your scalp the way it works for your hair. If you do not have dandruff and you use anti-dandruff shampoo, well, there is a pretty big possibility to have it when you get out of the bathroom. These are a few of the dozens of reasons your scalp itches. Here is the rest of the list and, of course, some ideas that will help you cure it. Of course, we start with it, a reason that is well visible to the people around us as much it is to use. This is a disease but, of course, is not harmful for us. It is just absolutely annoying and unpleasant. Basically, the small white scales are your dead skin, which needs some new one to take its place. Do you really think that you can live a 100 years with the same skin on your head? It is just like every other part of your body – older skin needs to be replaced with new one. So, after you know what causes it, let’s see how to get rid of it. The easiest and proven way to do it is by hair products. There are probably hundreds of products that may help you. Start with changing your shampoo. Or if you do not want to buy one you can prepare a homemade mask using olive oil and mayonnaise. This combination will sooth down your scalp, in other words it will make it oily – just what it needs to stop being so dry. Or in other words, this is ringworm of the scalp. As you probably know this is not a real worm, so you can relax. This is just a fungal infection which unfortunately is very contagious. 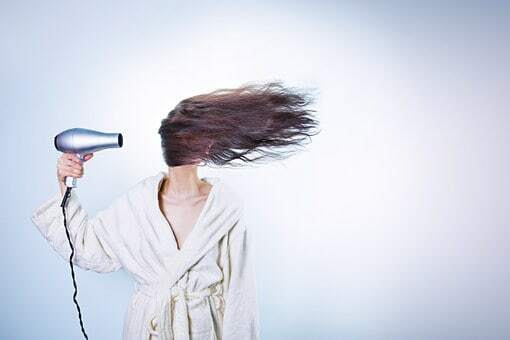 If you use common towels, combs, brushes or pillows with someone who has tinea capitis, soon you will also recognize the symptoms: circular marks on the scalp made by the fungus, painful scalp, brittle hair. And of course it itches a lot. Quite nasty indeed, but of course, there are some treatments that will help you get rid of it. You can start by using some anti-fungal shampoos which will sooth the symptoms. And if this does not work, I suggest you seek some medical help. After all, this again is a disease. And remember, stop sharing your personal product, especially with people you are not completely sure whether they have ringworm or not. 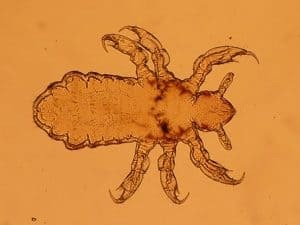 I know this is absolutely gross and nobody wants to have lice, but you have to be completely sure your itchy scalp is not caused by these small creatures. Usually children in school-age have them, but it is not uncommon that you get them by someone that is standing too close to you in the bus or the metro, or, of course, if you have children of your own who have lice without knowing yet. SO, first of all, do not panic. You can use the help of another person who will check your scalp for lice. They could be usually found in the scalp area behind the ears and in the lower areas of the scalp. So, now you know from where to start the search. An interesting fact is that lice love straight and clean hair and definitely prefer it to curly hair. How you can get rid of this pest? First, if you want not to cut off all of your hair, use a medicated shampoo that is specifically designed to get rid of lice. 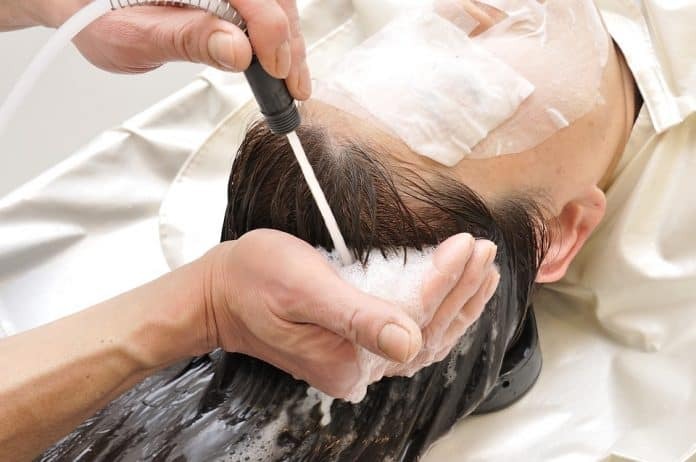 If you have long hair, you will probably want to try a lice comb. Then wash all of your bedding. Clean every possible thing that your head touched in that time, including plush animals. After all, when you get rid of them you do not want to reappear again, do you? Do not get paranoid, you may not have all the above mentioned causes. You may just have dry skin. Or you may be stressed. Stress is one of the main causes for all the illnesses in the world. And itchy scalp is also one of them. But how to be sure whether this is all just stress? If the itching spreads to your face and neck, but there is no rash, stress is one of the most obvious reasons. So, relax. If your job is too stressful just started doing yoga and take a break. After all, your health should be in the top of your priorities. As much as this may surprise you, it is very much true. In the summer when you go to the beach or the pool there is a pretty big chance for your head to gets sunburned. And I am not talking only about your face. Your scalp can also get sunburned, but this won’t be your first thought since you have hair to protect it. But you are wrong, hair is not that thick and your scalp reacts the way the rest of your skin does – it gets itchy and could be even painful. You can cure it with aloe Vera shampoo which is known to help with sunburns. You can also try some conditioner that will sooth your pain. Whatever the reason is, try to find it as soon as possible, so that you can cure it that fast as well. Remember not to scratch, you can only make it worse. Tie all of your hair in a ponytail and try not to think of the itching feeling.